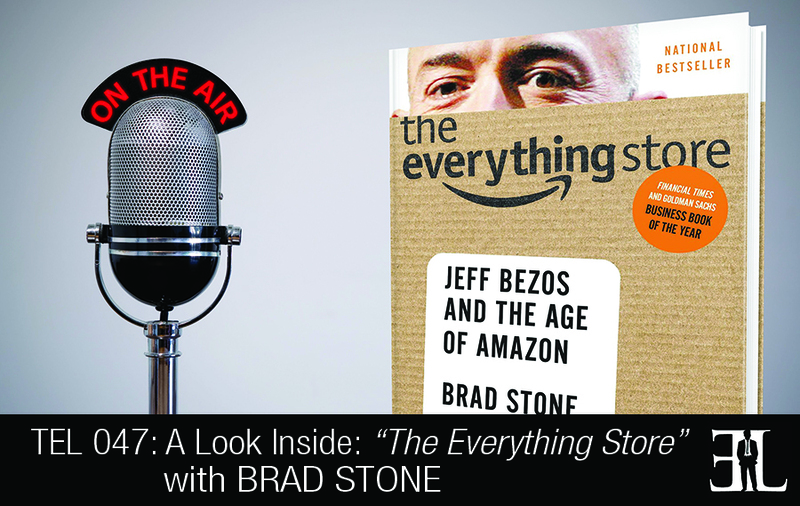 In this episode Brad Stone shares his national bestselling book, The Everything Store: Jeff Bezos and The Age of Amazon, he unveils the inspiration and the real business lessons learned from creating such a large company. Stone takes you on a journey through the life of Jeff Bezos as he built Amazon from the ground up and is meant to be a story that all entrepreneurs and business owners can relate to. This book is perfect for the entrepreneur who wants to learn the ins-and-outs, the trials-and-errors, and the ups-and-downs of growing a business from average to amazing. There are a couple other books about Amazon but I feel as if they were incomplete because of the fact they were written in 2001, 2002. There is one called Get Big Fast that offers a pretty good look at the first five years of Amazon but a lot has happened since that time and that is what makes my book different from the others. It shows the rise, the near fall and the rise again of Amazon. I conceived it as a story and didn’t intend for people to pop in and out. I do think there are a lot of lessons you can takeaway but it is a book you’ll want to read from beginning to end based on how it is written. The importance of being customer focused and putting the customer first. I structured my book in three parts. The first part I call Faith in the Book and it covers the years 1993 to about early 2000 when the stock market collapses. Jeff Bezos is a vice president at D. E. Shaw & Co. and is working with the founder, David Shaw, to brainstorm internet ideas. Among their ideas they come up with this notion for The Everything Store. Bezos decides he wants to be a guy like David Shaw and with his wife he drives across the country to start Amazon. In this first part of the book I take the reader through the initial fundraising round, the first hired employees and the initial battles of the business. I also talk about Bezos finding his way and creating Amazons culture, driving people relentlessly and it’s something that he still does today. Part two I call the Literary Influences and the unifying principle of this part of the book is at all these different parts of his life, Jeff found key insight and lessons from books. The first chapter of this section I go back and talk about Jeff’s upbringing. Not a lot of people knew this until my book but Jeff’s dad was not his biological dad, his biological dad who he never knew was actually a circus performer. I tell the story of Jeff’s stepdad who he really considers his father and the story of Jeff’s early years. This chapter covers Amazon recovering from the .com collapse and finding its identity when a lot of people had written it off. It’s the story of an underdog who manages through ingenuity and the relentless motivation of its founder to basically get its house in order, set its traditional business on firm footing and then to build on top of it. Part three is titled Missionary or Mercenary. Missionaries in companies have high ideas and lofty goals, in Amazons case they want to be the most customer focused company in the world. Jeff believes the missionary employees and missionary employees do better than mercenary companies. Amazon identifies as a missionary company and in part three I identify what might be some mercenary practices. The last chapter of the book I call the Kingdom of the Question mark. I tell the story of how I went and found Jeff’s biological father. He didn’t even know that his biological son had grown up to be one of the most famous executives in the world. From there I get into the culture of Amazon. I call it the Kingdom of the Question Marks because one of the ways Jeff manages such a huge business is when he see’s something he doesn’t like or hears from a customer about a complaint, he’ll often send it to the executive in that particular area of Amazon with just a question mark on the e-mail. If you are an amazon employee and get the question mark you basically run into panic mode. Jeff demands his employees to think big all of the time, bring their very best to meetings and have the customer in mind always. “We don’t have a single big advantage so we have to weave a rope of many small advantages.” – Jeff Bezos. I am a senior writer at Bloomberg Businessweek magazine and author of The Everything Store: Jeff Bezos and the Age of Amazon. It came out last October, won the Goldman Sachs/Financial Times Business book of the year award and just came out in paperback. I’ve covered Silicon Valley for about 15 years now for the New York Times, Newsweek Magazine and BusinessWeek and in those times I’ve seen a lot of my colleagues write great books about the other technology companies that are changing our lives. And for whatever reason no one had done a really great job on writing a book about Amazon and I thought it was time to take a in-depth look on its history and all the obstacles’ it’s had to navigate.